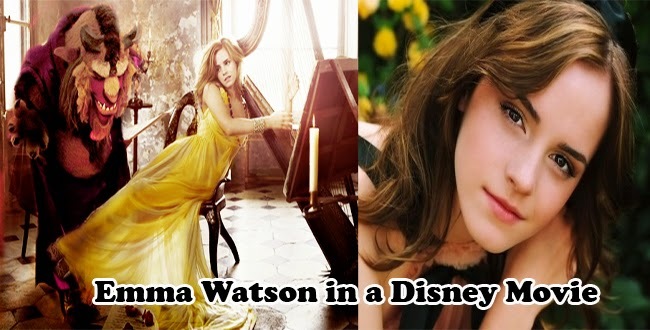 "Emma works so hard, even if she's not naturally a good singer, she will make herself great at it. She's very conscientious." Evanna added. It seems that she’s getting a handful of support from her co-stars, eh? ‘The Beauty and the Beast’ is a fairy tale story of a commoner who got lost in a forest and was invited in an enchanted castle where a beastly creature lives. The commoner picked a rose on the castle’s garden not knowing that it was precious for the Beast. In exchange for his life, he agreed to let his daughter, Belle, to stay in the castle to serve the Beast for sometime. Then there’s where the love story of a Beautiful girl and a Beast began.